Reason and emotion are often supposed to be at odds with each other. From one perspective, our emotions are like unruly toddlers, demanding and whimsical, that need to be held in check by the adult intellect. From another perspective, the rational mind is cold and calculating and needs the warmth of the passions to grasp what really matters. I don’t think that either of these perspectives, properly understood, is wrong. Where they are potentially confusing is if they suggest that emotions and reason are two separate sources of agency vying for supremacy. Plato encourages this confusion with his tripartite model of the soul (e.g. in The Republic). Kant does the same in the Critique of Practical Judgement (e.g. Bk.I, Ch.3) when he supposes that the rational grasp of moral imperatives can motivate action independently and even in rejection of our passionate impulses. In contrast to Plato and Kant, we must remember that humans (and other animals) are single agents and we have not evolved the resources of emotion and reason to fight against each other, but to ever more effectively protect the things we care about. Given this consideration, I think the correct thing to say is that reason elaborates emotion. To explain: most philosophers and psychologists of emotion these days suppose that emotions have a descriptive function (alongside their motivational function). Emotions inform us about the state of the world- that it is dangerous, enviable, disgusting and so on. Naturally, the kinds of properties we are describing rely on the person caring about certain things; they are relative to the individual in this sense. But given that the person cares about certain things (e.g. the integrity of his body, the status of his loved ones) it can be entirely factual that a situation threatens or supports him. Now along comes the capacity for rational inference. This allows the emotions to massively expand their capacity to track the things the individual cares about, to check whether the initial emotional representation is accurate, to infer consequences, and have further emotions towards those consequences. This, I contend, is the main purpose of reason. At the same time, it is misleading to say that reason is slave to passions, as Hume famously declares in A Treatise of Human Nature. In my book I argue that the motivational juice driving all cognition is drawn from our underlying homeostatic regulation systems. Emotions are one cognitive resource for elaborating these systems while rational inferences are a further resource. This means that one concern-regulating system can overrule another, where the first is rationally elaborated and the second is not. The resulting experience can be one where we rationally infer that acting impulsively (say to run away from giving an important speech) could destroy one’s reputation and we accordingly stop ourselves. Thus there is room for motivational conflict, but nothing so simple as reason controlling emotion. We could as easily say that one emotion is controlling another emotion here, or that one kind of thinking is controlling another kind of thinking. Overall, in my book The Emotional Mind, I try to show how the incredibly complex range of activities going on in our emotional lives all fit together. The picture I provide is of one elaboration building on another. This, I think, helps us to see that there is some order in the chaos. 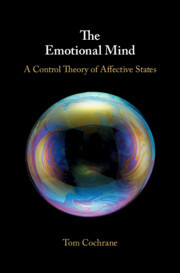 Read Tom Cochrane’s piece, ‘A new account of the emotions’, in The Brains Blog.